It's the last week of classes in the fall term - whew! Now that things are slowing down, I've begun preparations in earnest for the my multi-level dungeon campaign called The Ruins of Mar. I'm using Dungeon Tiles for the entire project. I've settled on the Upper Ruins. I'm now starting to populate each level. I'll map out the first level of the dungeon later this week. In the meantime here's a quick redraft of the module cover. This is just for fun. On Saturday, we continued our Labyrinth Lord game. If you missed the last report, we play LL but with house rules (including mini-lite rules). We've played two short adventures to work out the kinks before continuing with a larger campaign I have in mind. The last adventure (a short first level dungeon) resulted in the death of 3 PCs, 1 Hireling, 6 Men-at-Arms, and 1 Henchman. Only three of the initial group of PCs survived and none advanced to second level: Mazzrik the Magician (Hu/Mu), Reiden the Fighter (HU/F), and Elwen of Riverwood (Elf). Yacky the Lacky and his two goblin slaves Yurk and Gak also survived. So a robust expedition consisting of 4 PCs, 5 men-at-arms, and 4 torch-bearers/porters. 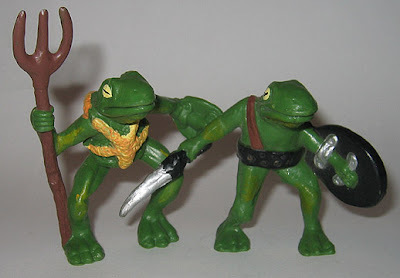 A band of troglodytes happened upon an ancient Rytonian shrine of the toad god Tsathoggua. Their shaman studied the ancient writings of the deity and began preaching Tsathoggua’s message of chaos and destruction. The shaman has called all manner of reptiles to defend the sewer. Hidden at the end of the old long-ruined sewer network, the troglodytes recently defeated a group of adventurers and are confident in their new lair. The Trogs kill all the Men-at-Arms!, Reiden dies!, Victory!!! I'm hopeful that the next campaign report will detail the beginning of our larger campaign, rather than a series of short advantures. Thanks for reading! If you haven't followed this story here's the low-down. A small newspaper, the Orangeville Citizen, published an article at the end of October that highlighted a double homicide committed 25 years ago in Orangeville, Ontario, Canada. In the absence of a motive, Dungeons and Dragons was blamed because the person convicted apparently played the game, among other things. I read the article and got really pissed off. I vented to my large undergraduate class and told them I was going to write a response. I noted my letter here and received some helpful input. Then off it went to the editor. The most important thing is that a voice was heard in opposition to the rhetoric. It was fun to note that someone else also wrote and bashed the article as well. Click here for my response. I recently found a set of the Grenadier Hirelings for a great price on Ebay - and I'm really excited to put them to use. This particular set has never been used. Very cool. In the 80s and the 90s we never used hirelings - ever. I'm not really sure why. I suppose that's why I was fascinated with this specific set of miniatures. Since I've come back to the game, I've read many posts about the use of hirelings and henchmen and think they certainly add fun and flavour to the game. The other reason why I'm excited is that I've slowly been adding new or new-old miniatures to my collection in anticipation of painting. I'd like to paint these for play, not display purposes. Given my professional and family schedule I don't anticipate starting until sometime in the new year, but in the meantime I'll get all the supplies and tools together. My favorite miniatures are definitely the Citadel slotted metal series from the 80s. I picked up a unique set of those recently, but I'll save that discussion for my next post. Believe it or not, I'm writing a research paper on Castle Amber and the influence of Clark Ashton Smith on D&D. I'll present the paper at a special session devoted to authors from Weird Tales at the Southwest/Texas Popular Culture Assoication Conference in New Mexico (Feb. 2010). How cool is that? I was looking through Dungeon Magazine 116 - the issue with the greatest adventures of all time. Castle Amber by Tom Moldvay is ranked number 15. However, the author noted that the adventure has inspired TWO sequals. I am aware of Mark of Amber published in 1995 but I have no clue about the second. 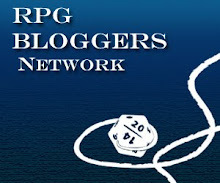 I recently read a post over at Thieves' Cant regarding the representation of D&D bullywugs. The author wrote, "bullywugs in my campaign are filthy, mucky, swamp loving brutes. More toady than froggy, more croaky than leapy." 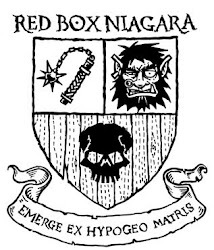 I've always loved bullywugs, and that observation brought me to thinking about this post. Let me state first - to each their own. Everyone has a right to construct their game in a manner and aesthetic that is fun for them. However, we should note that the aesthetic history of the game suggests something very different from that represented in 4E. 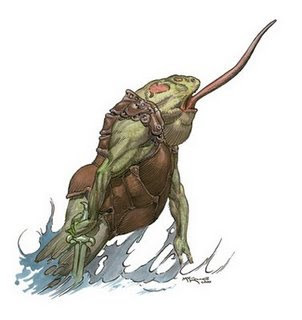 From the outset, bullywugs were small, thin, frogmen. Monsters perfect for low-level adventurers alongside goblins, orcs, etc. However, somewhere along the way to 4E artists dropped the ball. 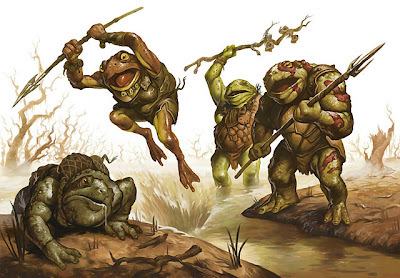 Instead of our beloved weak-kneed bullywugs, they became thick, muscle-bound toadmen. 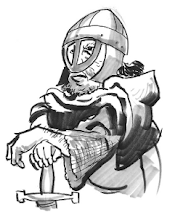 This evolution (devolution in my opinion) reflects the overall change in the game from playing feeble adventurers in need of hireling meatshields to characters that now begin play as heroes. What fun would it be in the current edition to beat up on poor thin-armed bullywugs? Not much I'm guessing, those of you who play 4E regularly can speak to this better than me. 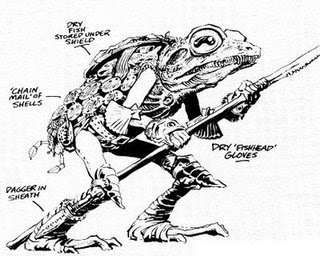 The really interesting part of the aesthetic history of the bullywug is that, at a glance, one might look at the trainwreck that are 4E bullywugs and blame the latest iteration of the game. 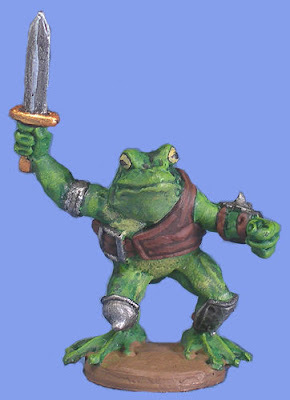 I'm not defending 4E, it isn't my bag, but as you will note below, bullywugs actually changed in 2nd Edition and subsequent editions have carried that aesthetic forward. 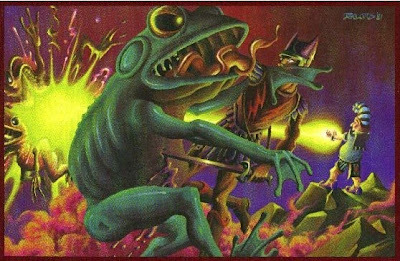 **Note: This is a moment where you stop and reflect on the above "iconic" image of the bullywug. All bullywugs are held against this standard for me. What an amazing sketch. 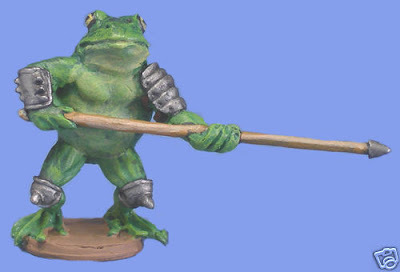 As a final note, MegaMiniatures has just released frogmen minis perfect for Old School gaming. Here's a sampling. You can check them out at their Ebay store.